Kingsglaive Final Fantasy is set to release in cinemas later this month in the US, along with being streamable online shortly after. It's also currently showing in cinemas in Japan, so since I’m in Japan I knew I had to see it as soon as I could, even if it’s well above my Japanese level. I was initially a little worried about completely spoiling the story of Kingsglaive for myself before I saw it in English (which I definitely did), but I was far too excited to get some backstory for the world Final Fantasy XV. Kingsglaive Final Fantasy focuses on the events relating to Noctis’ father Regis that occur at the same time as Final Fantasy XV’s story, a rather interesting story dynamic considering Final Fantasy XV isn’t out until late September. The film is much more than an extended trailer for Final Fantasy XV, with it’s own story moments that will no doubt leave their footprint on Final Fantasy XV. While I can’t comment on the script of Kingsglaive because I saw the film in Japanese, the story and beautiful visuals of Kingsglaive Final Fantasy still were satisfying enough to increase my already high excitement for Final Fantasy XV. Even just from watching the trailer for Kingsglaive, it's easy to see that it's visually stunning and this holds true throughout the film. Kingsglaive uses a lot of motion captured movements and it shows in the precise facial and body movements seen throughout the film. The way the character's faces move, change and crease with each facial expression was really immersing and there were honestly a few times in the film I forgot everything was just really good 3D rendering. One thing that kept me from being fully immersed in the film on occasion were the mouth movements, which were made to match the English script. While the Japanese script was supposedly made based around these mouth movements, some movements were a little slow or off. In saying that, it’s something I rarely noticed and for those planning to see the English version, this probably means everything will even smoother. 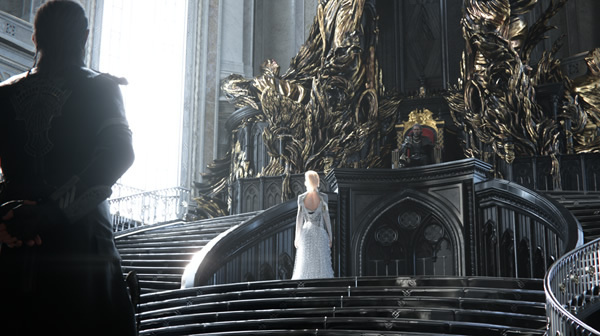 I could only understand a limited amount of Kingsglaive Final Fantasy’s story due to the language barrier, but in spite of that the significant events of Kingsglaive were represented enough to allow me to follow along with the story's prominent moments. Going into Kingsglaive, I was a little worried the story wouldn't be significant and the film would serve mostly as an introduction to Final Fantasy XV, but I was wrong. Kingsglaive's story has its own significant plot and story moments, driven by it's strong cast of original characters. 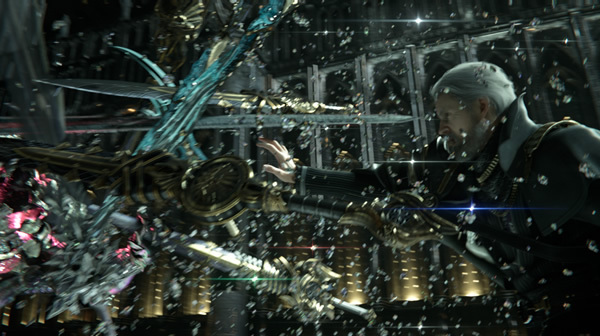 As the characters defend Lucis from invasion, there are plenty of moments where characters such as Nyx and Libertus have their moment to shine as strong, passionate characters and other moments in the story provide an insight into characters that will be featured in Final Fantasy XV like Lunafreya, Ardyn and Regis. While my understanding of the intricacies of the plot may not be very good, the events in the film told an interesting story with a few twists that had me surprised, so I'm looking forward to exploring the story more when the English version is available, hopefully with a script that matches the good feelings I have about the story without it. While the film was in Japanese and I couldn't understand the finer points of Kingsglaive Final Fantasy, what was universal was the excitement and hype I had for Final Fantasy XV when I left the cinema. Thanks to the stunning visuals, intriguing characters and the surprising plot twists that will no doubt affect Noctis’ journey in Final Fantasy XV, I really enjoyed Kingsglaive Final Fantasy and will be sure to see it again in English when it’s release. 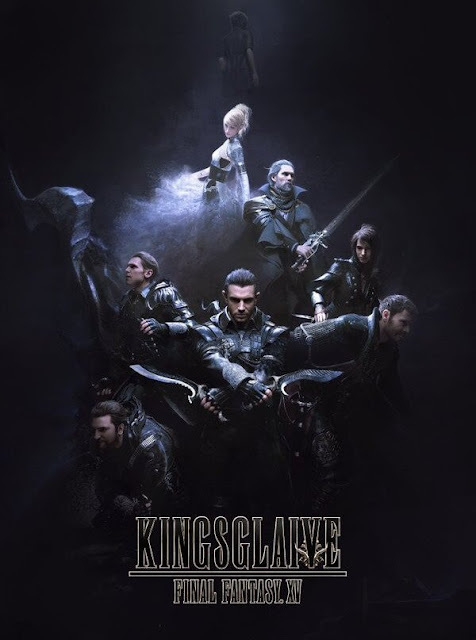 The script is naturally a vital part of making sure the beautiful graphics and visual story are done justice, but from what I saw, Kingsglaive Final Fantasy will at the very least satisfy fans of the beautiful visuals of Final Fantasy and give a few surprises to those waiting for Final Fantasy XV. Are you excited for Kingsglaive Final Fantasy? Will you see it at all?